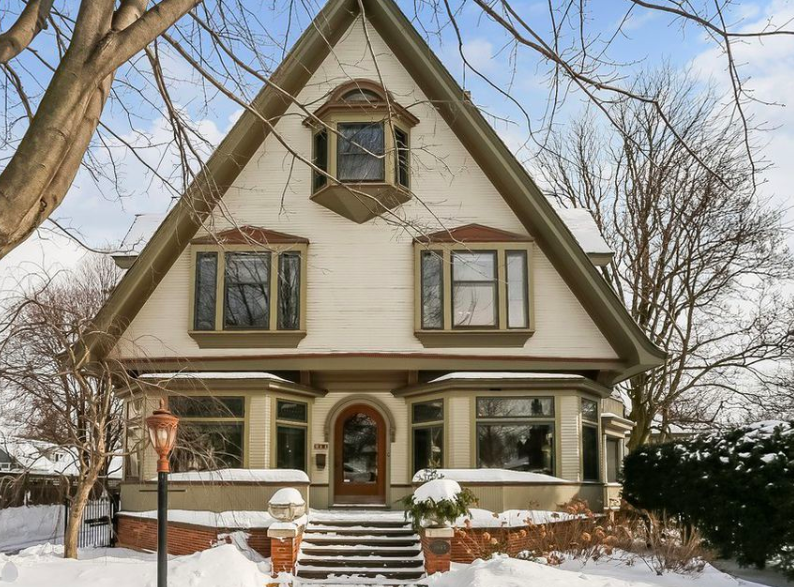 Offered at 1.2 million, this house for sale in La Grange, Il, just outside of Chicago, was designed by Frank Lloyd Wright early in his career in 1893 and is known as the W. Irving Clark House. It may have been a collaboration with E. Hill Turnock, who was employed by Adler and Sullivan. While there is a wonderful cache about owning a home that was designed by a famous architect, there can be a certain amount of inconvenience in preserving an older home. 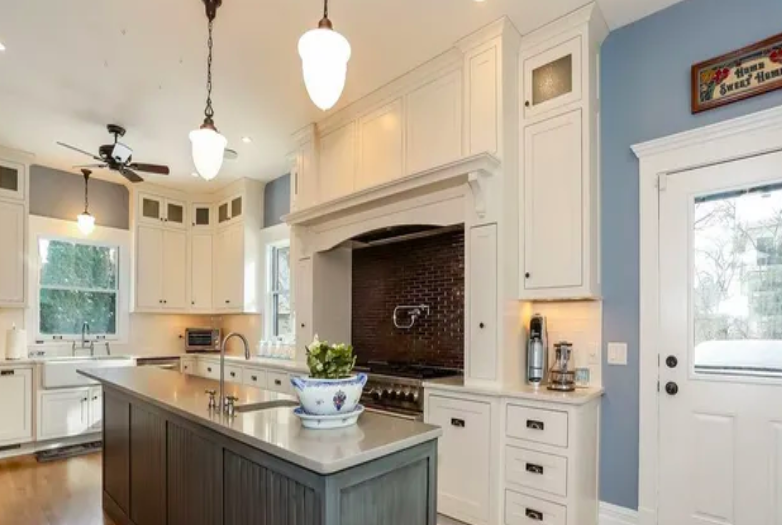 Fortunately, in this case, the home that is offered for sale by Judy Ellison of Coldwell Banker, is a wonderful mixture of preserved history, architectural details and updated modern conveniences. The right balance of old and new. The home located at 211 S. La Grange Road is generous 4000 square feet with 5 bedrooms and 2.5 baths. 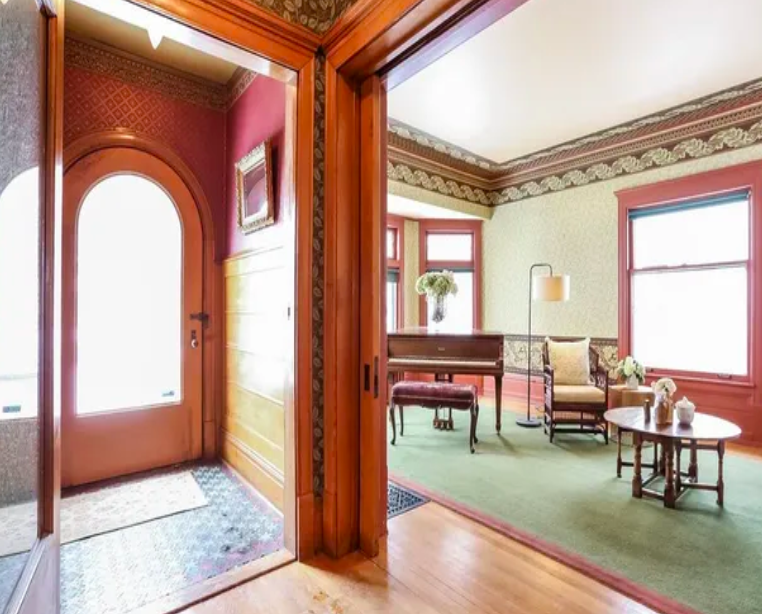 It has hardwood floors and prairie woodwork, the original front door, a few original lighting fixtures and the tile in the vestibule, a wealth of its original history. In contrast the kitchens and bathrooms are beautifully updated with all the modern conveniences. It is really a beautiful home and quite worthy of a House Crush! It is just so far away. 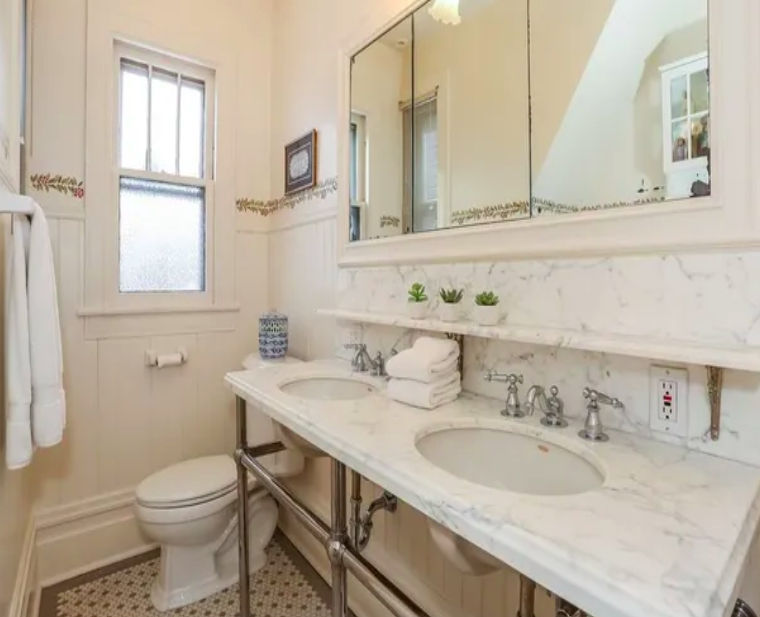 However, I’m happy to report that there are homes for sale in Long Beach designed by prominent local architects that are a lot closer to the beach. I’m thinking of a Killingsworth home that has sat on the market in my neighborhood next to the park and the lagoon for quite some time. It’s ripe for some savvy buyer to make an offer. Not in the market for an architectural gem? Then it is nice to enjoy this beautiful home through photos. A real not so little house on the prairie that will make some homebuyer a perfect home. I’ll just admire it from afar and enjoy my house crush.